Four years after we first started covering everything Twilight, we are saying goodbye to the series in a big way! Please join Robert Pattinson News and ScreenSlam for a live pre-premiere online show starting at 3:50 pm (PT) November 12th. We'll be on The Twilight Saga: Breaking Dawn Part 2 black carpet talking about the series and its stars, to get you ready for the Yahoo! Movies exclusive live streaming coverage from downtown Los Angeles. Then check in with us again after it all winds down for a live recap from the premiere. If you have any questions for the cast ( tons of stars are attending) - please reply to us at @ScreenSlam or @RobPattzNews. You can also leave your questions on the comments section. 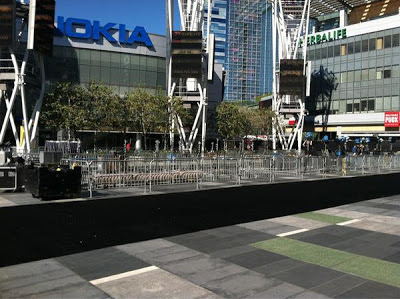 See you on the Twilight Saga: Breaking Dawn Part 2 black carpet everyone!